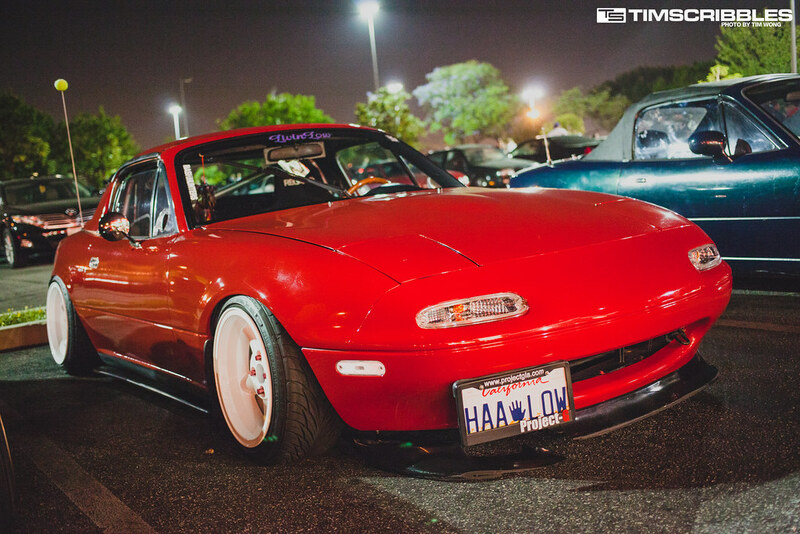 Finally another year of KINOD, the weekly Miata meet, has passed and the anniversary meet was packed as usual with the entire Krispy Kreme lot full up and moving into the adjacent lot. 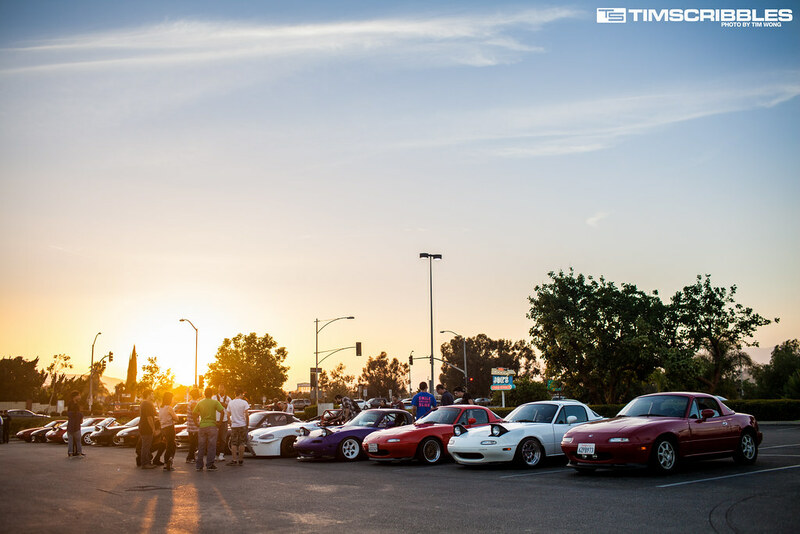 I arrived nice and early at 8PM just in time to catch the last bit of daylight and people were already starting to fill up the lot. 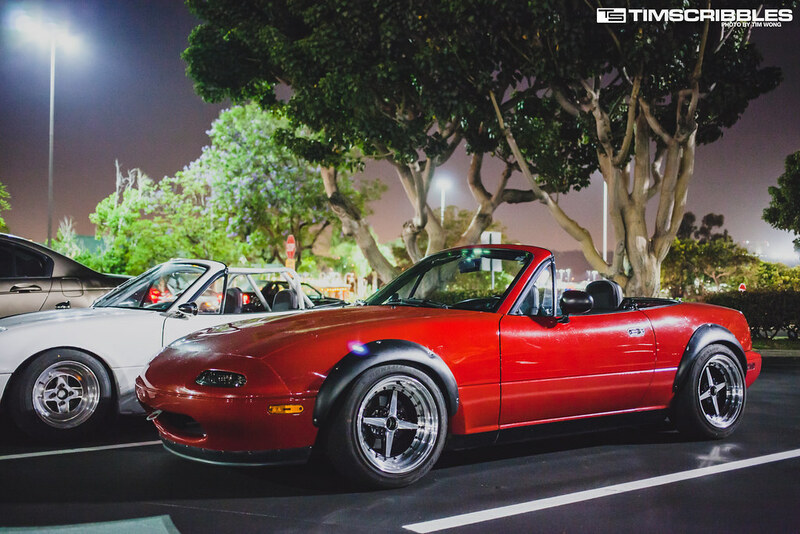 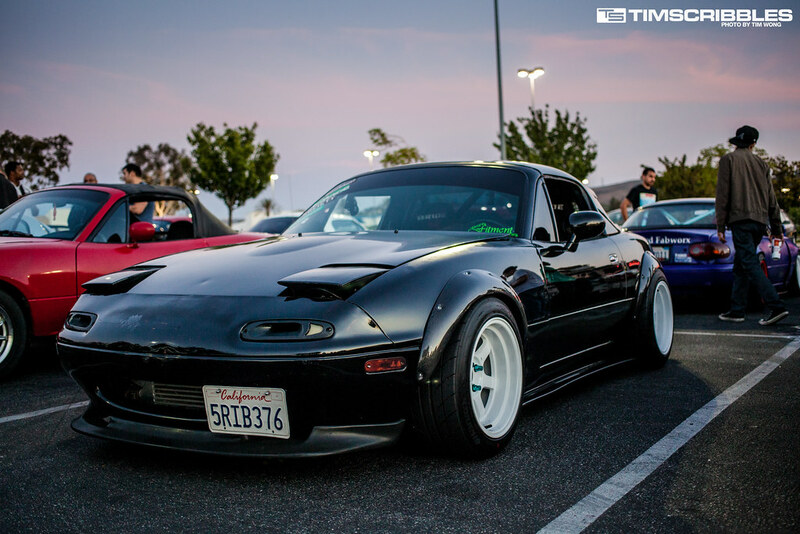 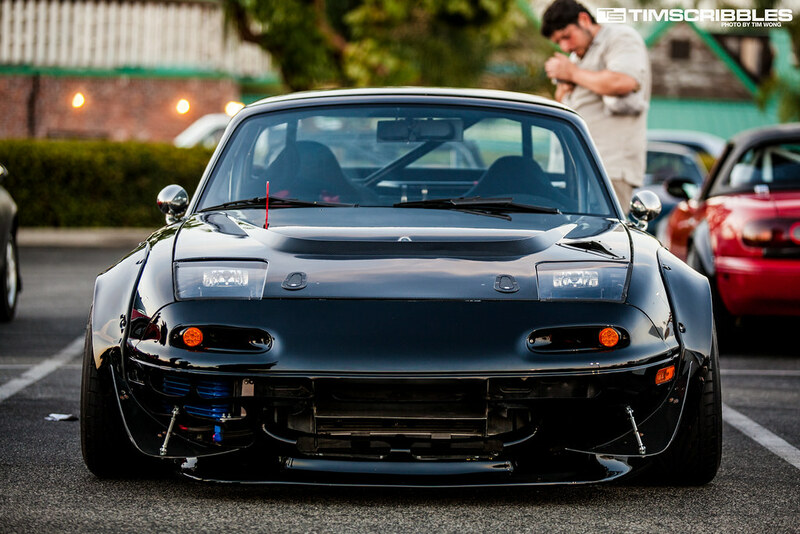 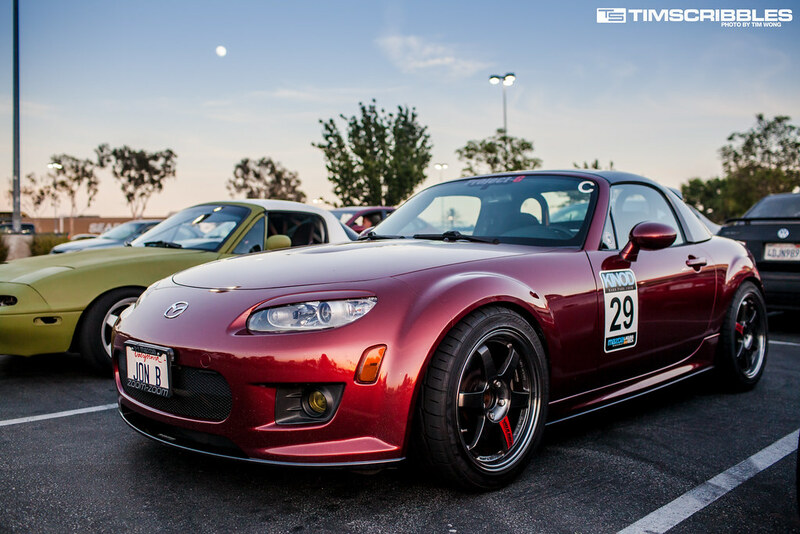 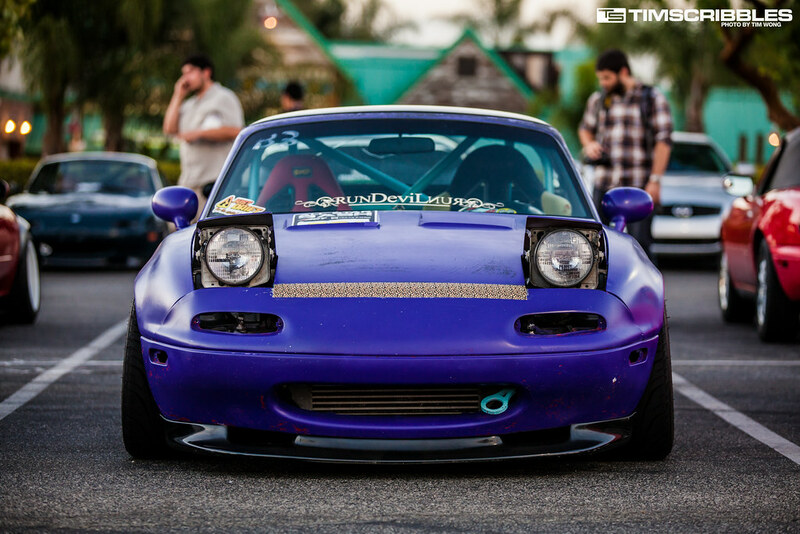 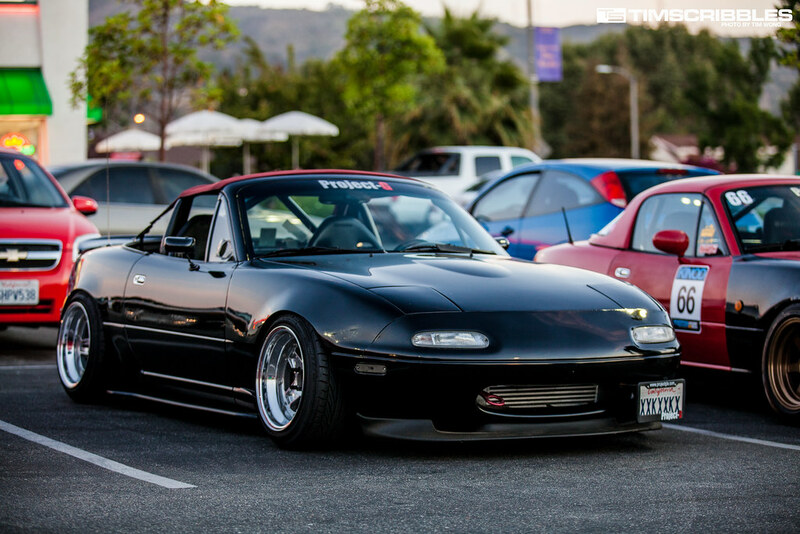 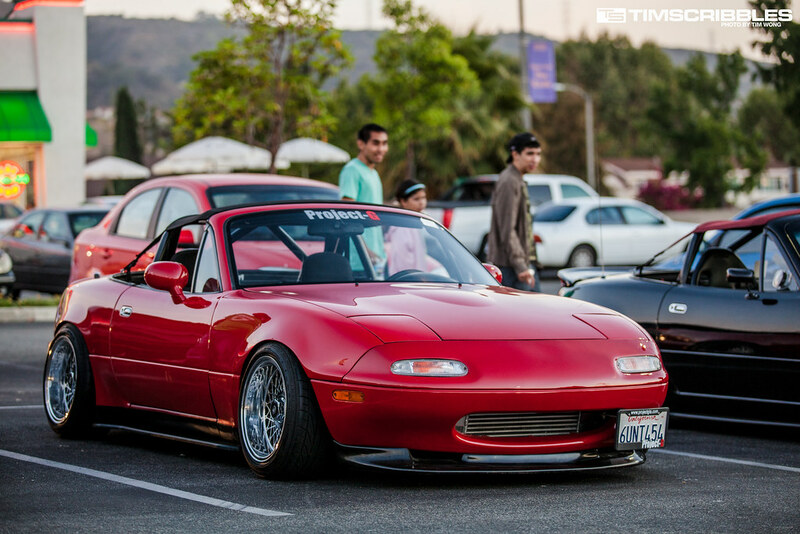 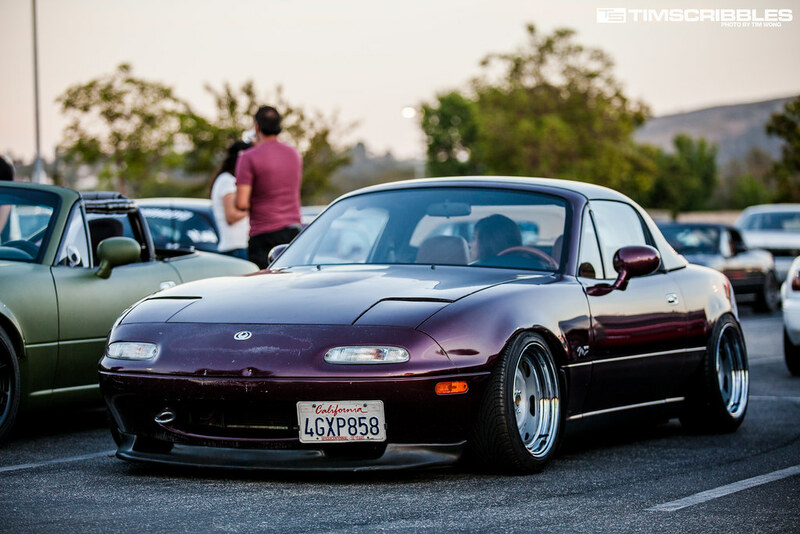 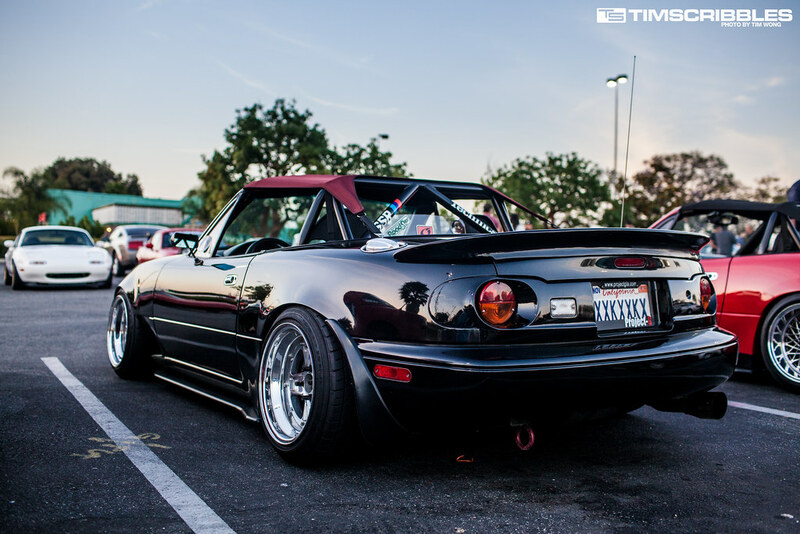 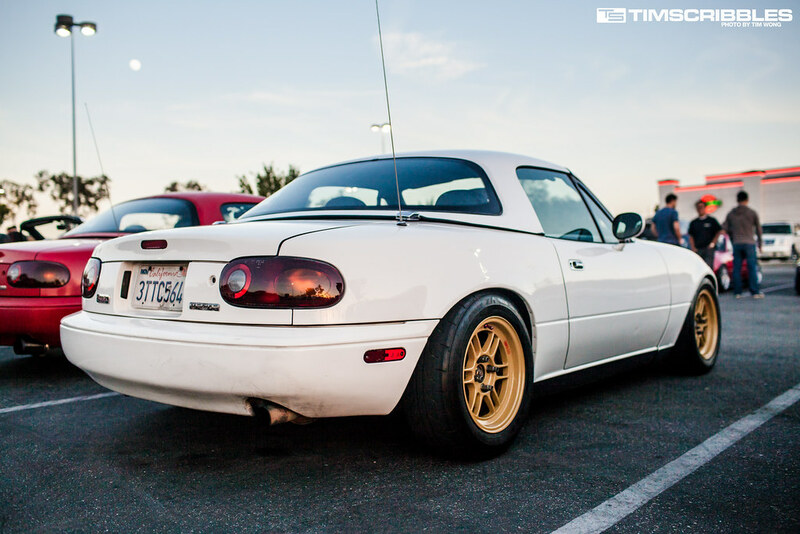 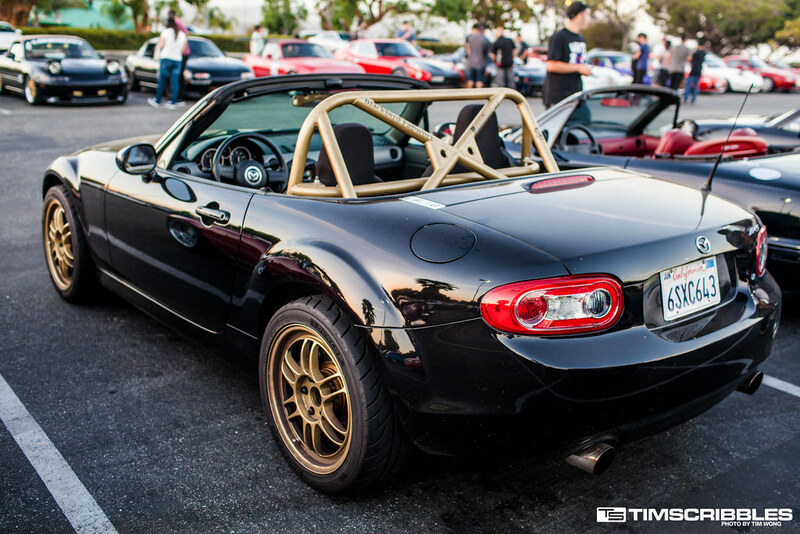 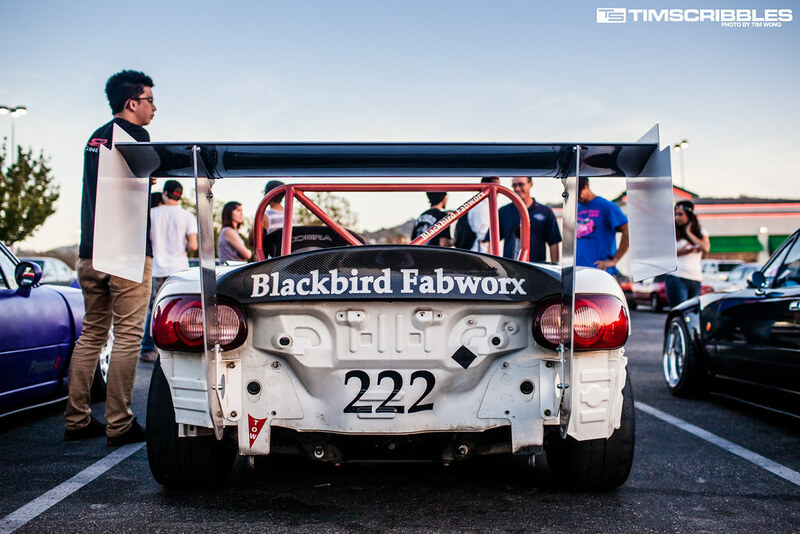 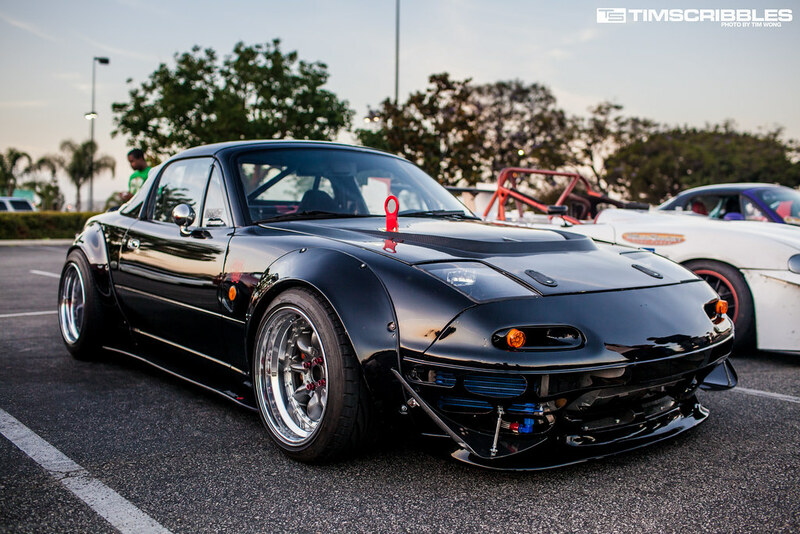 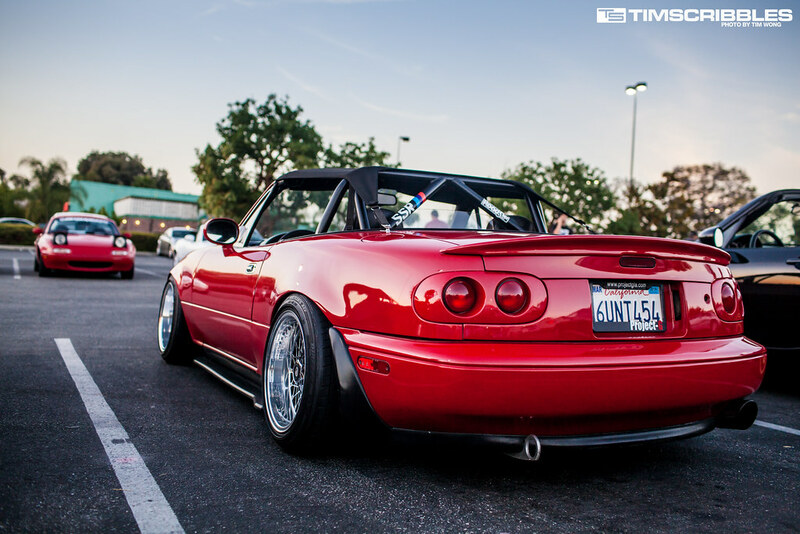 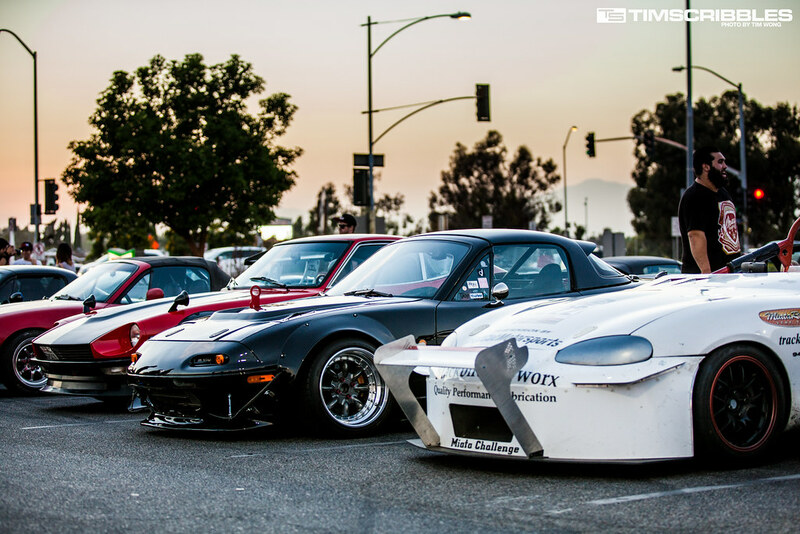 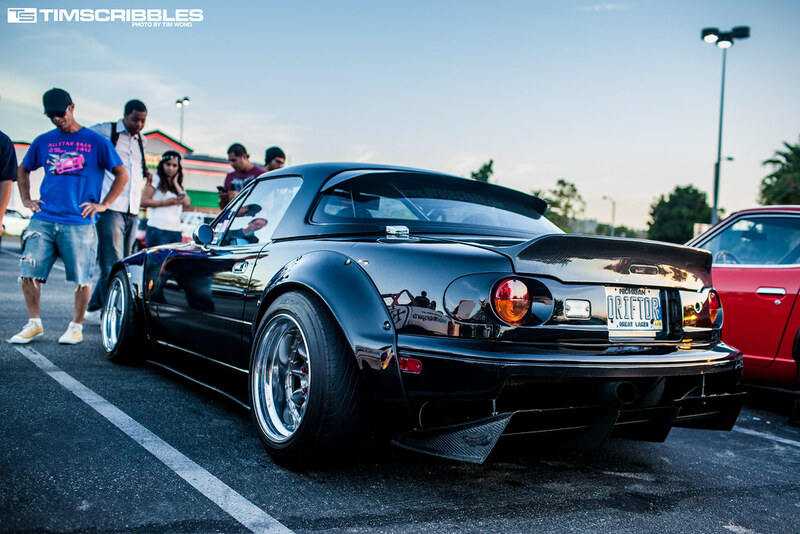 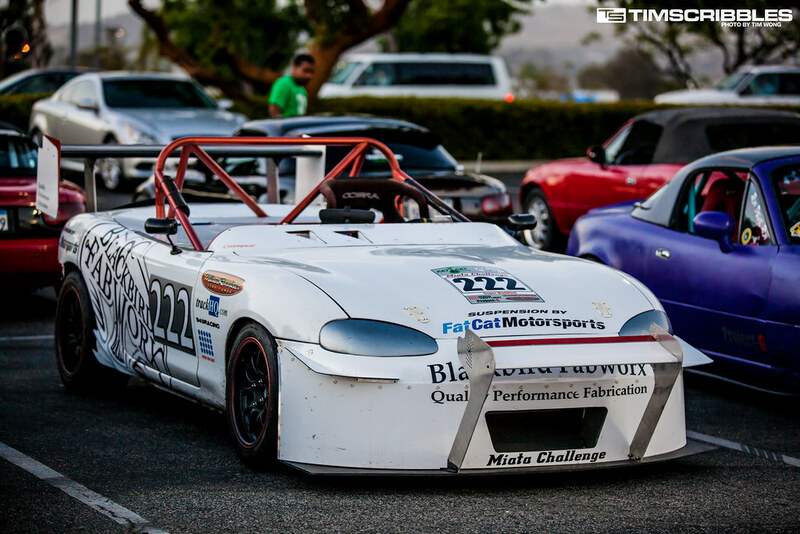 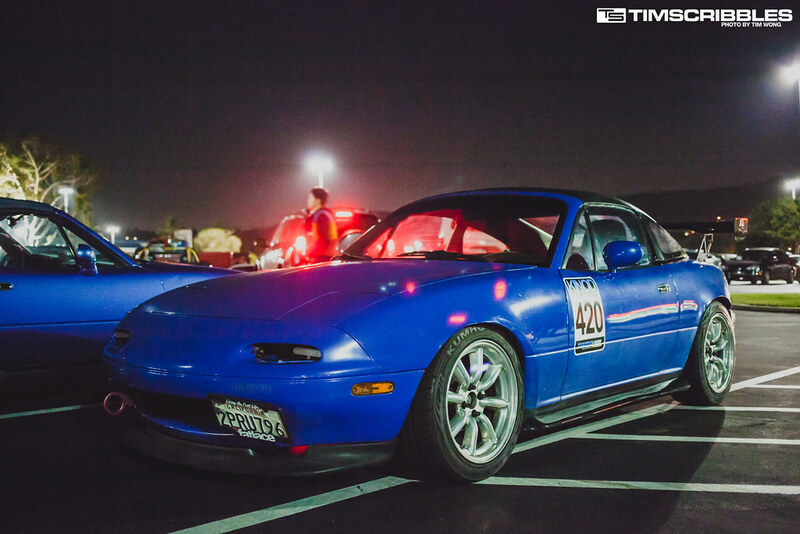 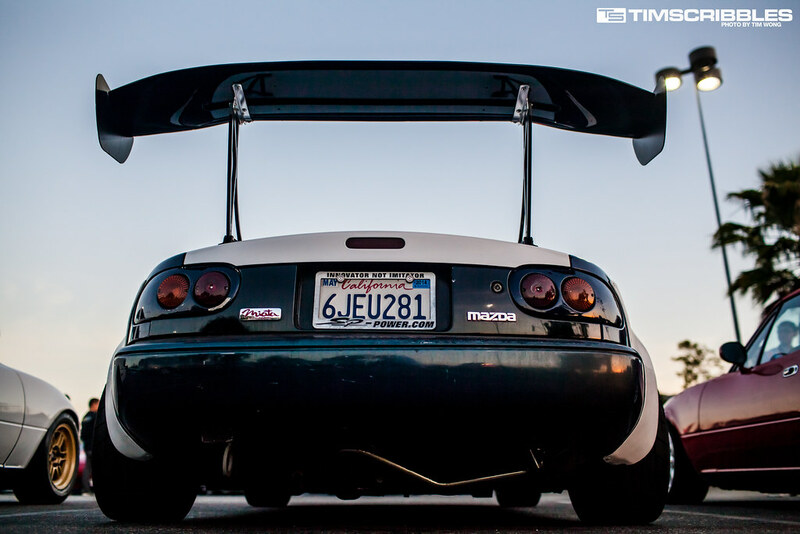 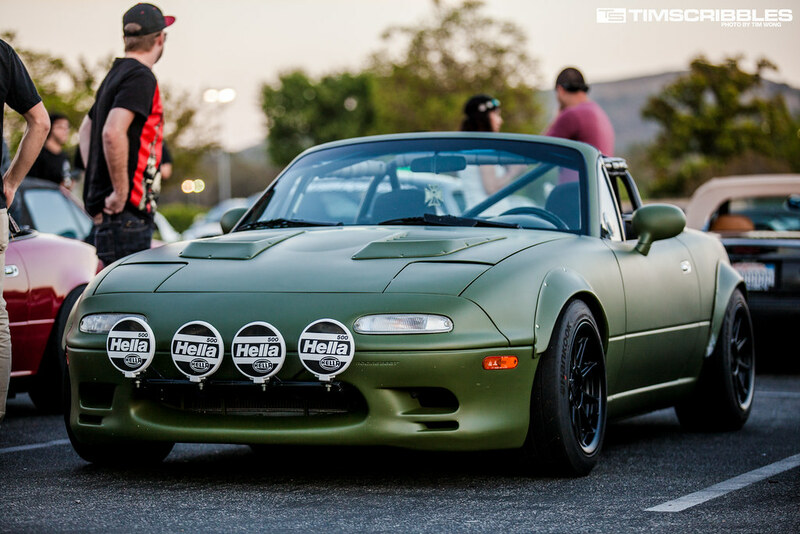 Blackbird Fabworx brought out their highly modified track built Miata which had attention all night. 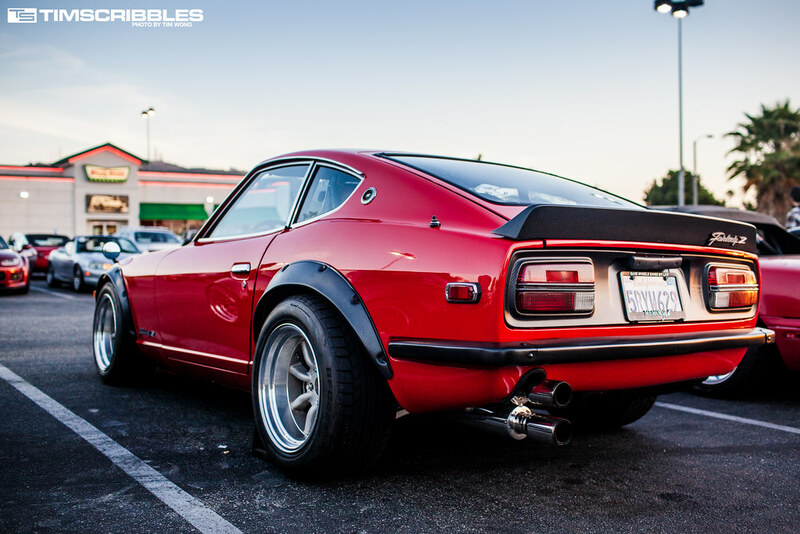 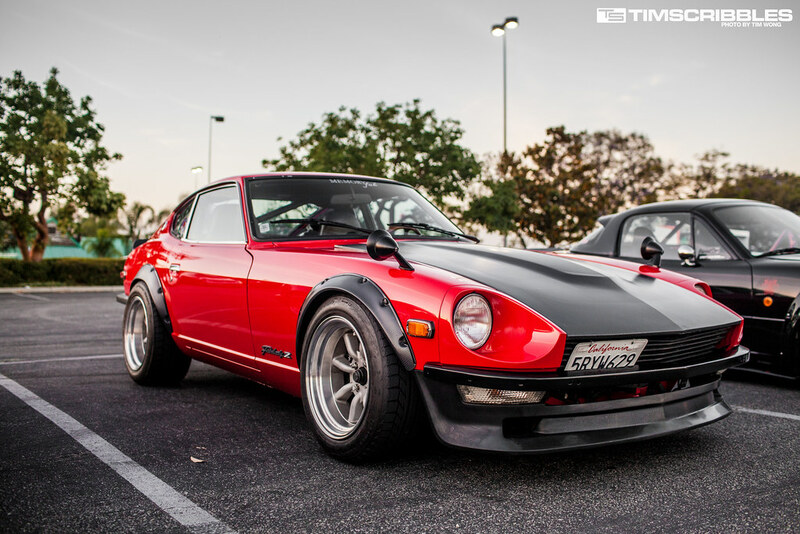 This Datsun 240Z had carbon fiber trim all around. 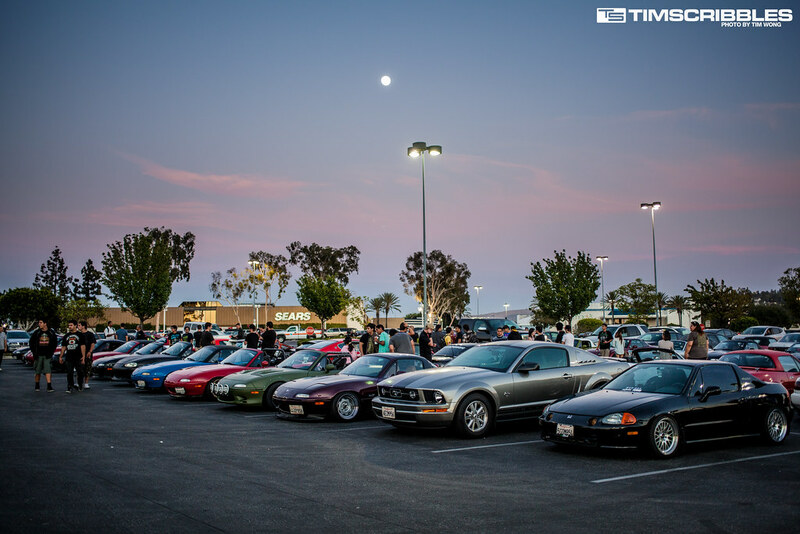 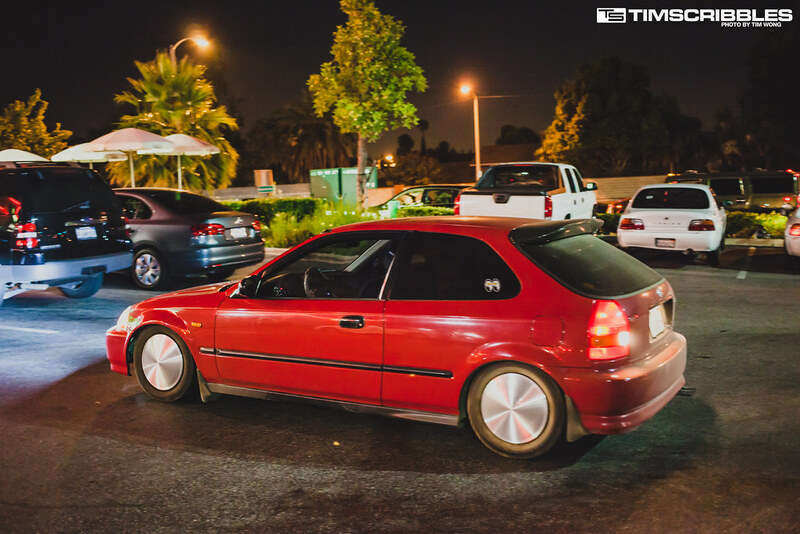 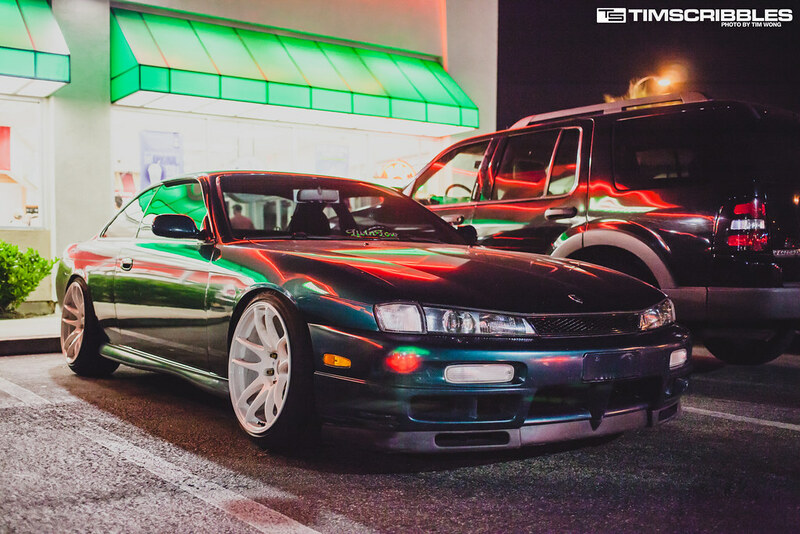 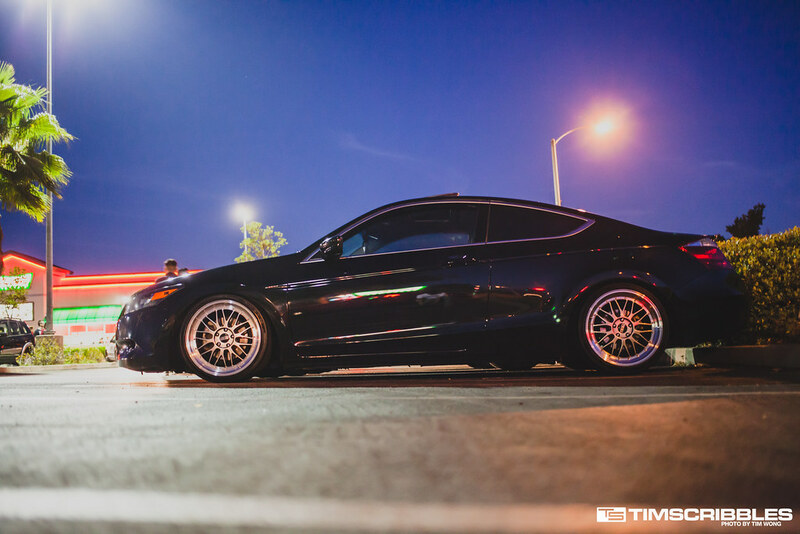 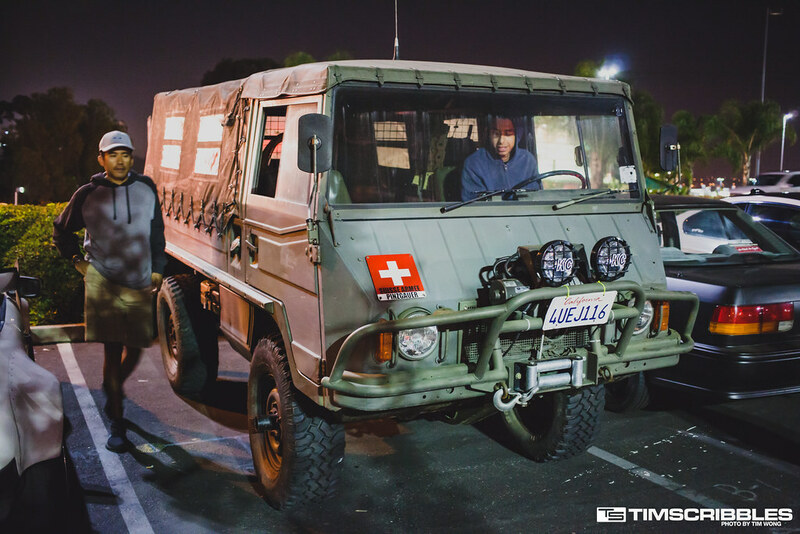 As night fell, cars kept rolling in and the meet was only getting bigger.